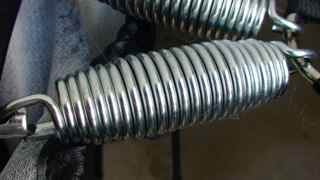 The only self adjusting triple tiered spring on the market. 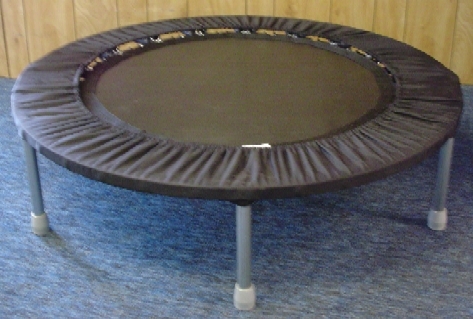 One or all of the three tiers are used to adjust to the weight of your bounce. The Cellerciser Pro is digitally tempered which sets it apart from analog springs. You can bounce anywhere and get an even bounce. This rebounder is soft enough for people that are new to rebounding. It gives enough g force for lymphatic flush but you do have to change the springs every year or so. The current most popular rebounder on the market. The latest models have a blue mat. the G force for a square mat and low inversion. jogging and getting a great workout, you will love this rebounder. 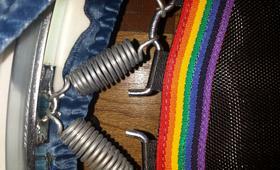 Bungees are becoming very popular for those that don't want spring trampolines. The newest brand is the Jump Sport which we are just finishing up our testing on. If you are not pleased with your new rebounder we will refund you 100% without a restocking fee of the rebounder. Contact us: 8am - 10pm (Central Time) We're open late. Contact me here. I respond quickly. Learn the difference between each rebounder before you buy. I WILL find out who took my Cellerciser one of these days. Disclaimer: This blog/ website is a personal blog written and edited by me. This blog accepts forms of cash advertising, sponsorship, paid insertions or other forms of compensation.The compensation received may influence the advertising content, topics or posts made in this blog. That content, advertising space or post may not always be identified as paid or sponsored content. The owner(s) of this blog is compensated to provide opinion on products, services, websites and various other topics. Even though the owner(s) of this blog receives compensation for our posts or advertisements, we always give our honest opinions, findings, beliefs, or experiences on those topics or products. The views and opinions expressed on this blog are purely the bloggers' own. Any product claim, statistic, quote or other representation about a product or service should be verified with the manufacturer, provider or party in question.This blog does contain content which might present a conflict of interest. This content may not always be identified. We or anyone who is part of this site do not make claims and our claims may not be accurate, even all of the information on this site may not be 100% accurate. (we are told to say this although we might not agree, corporate stuff). We do not mean to put health advice out there from our site also. This is what doctors are for so please see your doctor if you want to ask a health question. 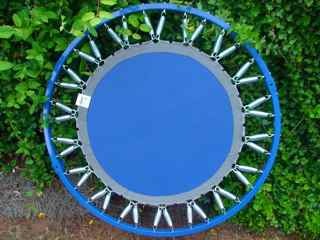 All The manufacturers of the rebounders on our site and their trademarks are the property of each manufacture that owns that trademark. We are not affiliated with many of the companies on our site that we first reviewed. Many of the people that we find to jump on the rebounders are strangers we never see again and are obviously not affiliated with any manufacturer on my site. 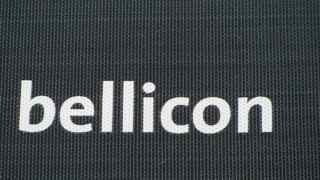 We have compared ReboundAir and Cellerciser and Bellicon and Needak and Freedom Spring and Lymphaciser and Urban and ReboundAir and Jumpsport and even the cheap 50 dollar rebounders. All information we put on on this website is our opinion only. The lower the height to get 3 g forces the least ballistic impact and inversion. yes, even at low heights, no inversion. yes, at low heights with high tension levels- Smaller mat makes this able to happen. Which rebounder best serves You? I compile useful information to help you make a decision. Latest Cellerciser see my new review. See my Cellerciser Comparison page here. 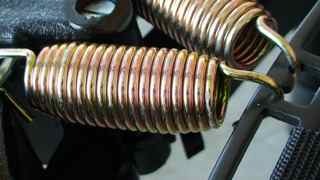 Sizes of springs can be the same. Weight varies. The most expensive spring weighs 106 grams, which should never need to be changed. LIghter springs than 106 grams will need to be changed every 2 years for maximum G force. See my video here of actually weighing each spring picking out the best one. Givest almost the least G force. Requires above mat. The chart below is based on doing the Health bounce with barely leaving the mat with the focus on lymphatic drainage and bone density. 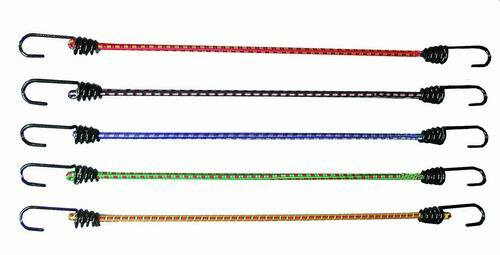 The bungee models are based on the smallest mats in each brand and the highest tension to get maximum Health Bounce. Lymph drainage and bone density is based on feedback I get from my customers and the milkiness of color of the sweat when jumping on different rebounders. Sebaceous sweat is the oily sweat. Water based sweat is not the detox sweat. Armpit stink is much stinkier with more G force with the highest repetition of bouncing per minute. 4 teaspoons of lymph drainage per minute can cause detox. I highly suggest an aggressive probiotic for at least 2 weeks before beginning the Health Bounce so the waste can be properly eliminated. This rebounder has little to no inversion and has super high G force with the most repetitive bounce with barely leaving the mat. This is the most expensive of the high end rebounder models. 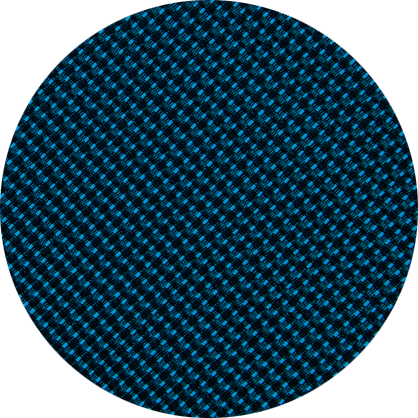 9 layers of stitching and the highest end rebounder for the Health Bounce. Lymphaciser Jumbo Barrel spring: Find out if this spring is right for your weight for the Health Bounce. Great for light to mid weights. 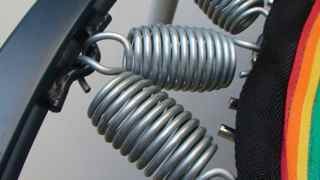 Needak Tapered spring: Find out if this spring is right for your weight for the Health Bounce. Great for upper light to mid weights unless hard bounce. 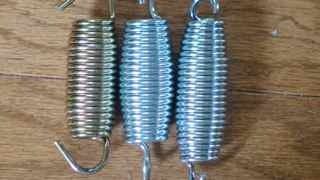 Cellerciser Pro Triple Tiered spring: The heaviest and most responsive spring. Maximum G force. Great for very light to super heavy, 350+ plus. 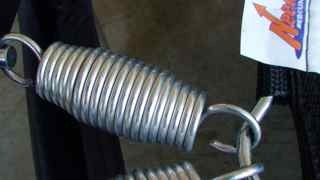 Rebound Air Barrel spring: Watch the videos to see which springs win the Health Bounce in each weight class. Great for mid weight range. REBOUNDER FUN FACTOR: Watch all the rebounders in action! Read "Why Rebound". It Helps! Beware of bogus rebounder reviews and fake comparison websites. See the list of tricks rebounder companies use to trick you here. Always land on heels and roll to toe. This can only be done with a minimal initial tension based on your weight. Just when I found the orIginal hexagonal bungee from Europe, now these finally can be purchased for 99 dollars. Freaking shipping is 120, more than the rebounder itself. 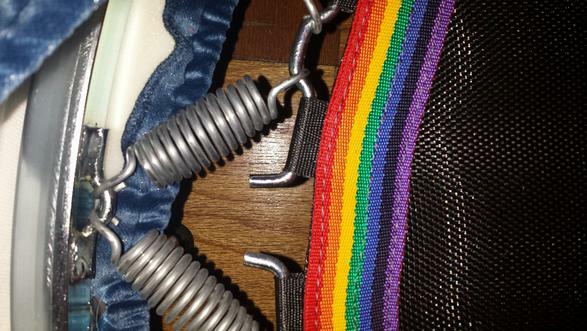 I do not like the bungee cords that come with this and these can be replaced by "higher end" cords and get a great quality bounce. Although I don't recommend bungee rebounders for lymphatic cleansing as they don't have the "pop" or G force at the pop of the acceleration, they are good for working out. 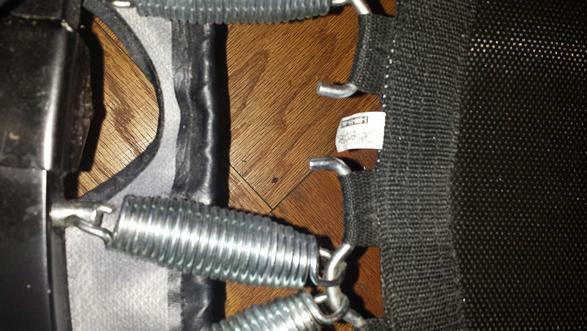 The hexagonal bungee will not invert your ankles like some of the larger round bungee models. The mat is 39 inches and the frame is 50 inches around. 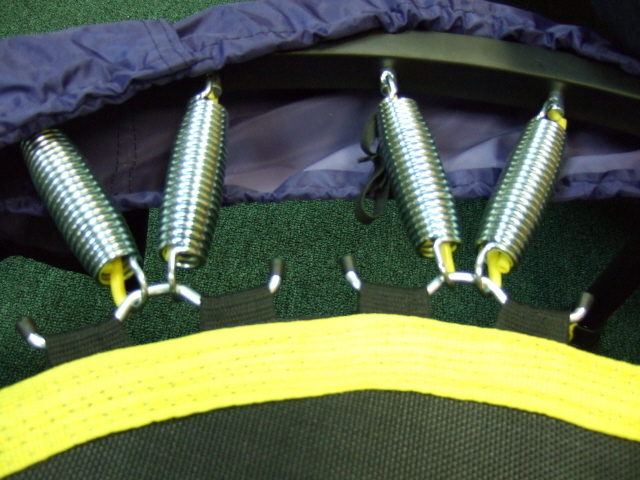 I am now seeing the hexagonal bungees in gyms all over now since they retail for 99 dollars. Finally these have come down in price after all these years. 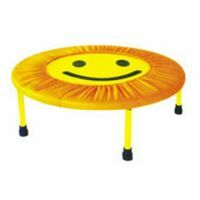 Note: I do not recommend bungee rebounders for the Health Bounce or using it for lymph drainage. Also see Marco's site - DiscountRebounders.com - Ask for Sandy when you call. Note: We do not promote this rebounder for the Health Bounce. 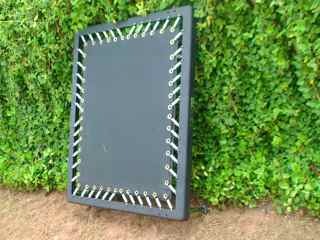 The Latest Cellerciser rebounder with the Cross-Stitched mat is now in stock. This is the latest mat from Cellerciser. Note: Make sure you ask for the latest version otherwise you might get the older style. for lymphatic bouncing giving the most bounces per minute of all rebounders. THE TOTAL OPPOSITE BOUNCE OF A BUNGEE. The 3rd generation Health Circulator has silver and gold springs and known for the leather cover and no off-gassing. This is hand made in Pennsylvania by the Amish people and the 3rd generation model is now out. Much better than the first gen 1950's model. This uses all USA parts. This is a medical grade rebounder. Levitational energy is always on, as is Gravitational Energy. Its not a struggle between these conditions but a collaboration. The fact of a holding down or a pull moderates the Levitation process. The body has evolved with these constant laws in place. Movement is the key to shifting the constant state in favor of a flow, more like a phase change. The amount of movement is a message that the body recognizes. Levitational energy attributes to vertical growth in the human body (as in all plants also, except vines which climb on tress and structures). It was not common for folks to jump up and down (except in ritual dance) so trampolining is not a condition of levitational stress or movement. However a gentle up & down movement similar to walking and running is built in the body for levitational action. This is the real value of the lymphatic movement gained with a shifting action such as the gentle movement, dance, walking and running. Trampolining generates shock & trauma that the body is not built to tolerate or absorb. When it comes to the G force as a measure of effect or differential, this illustrates how we perceive or feel the force or kinetic movement. The human body is not built to tolerate huge differences in forces. There has never been a requirement built into the human condition that has required any evolutionary process for such. The body is well built to handle normal & even stresses beyond. 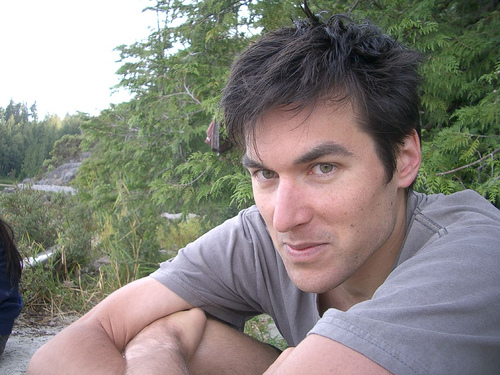 We have excellence in bone structure and cavities that protect the vital organs and a fluid system that floats all our innards (like our brains). Trampolining is a toy effect like a game that can be indulged in from time to time. To do so on a regular basis is not conducive to wellness but to trauma. 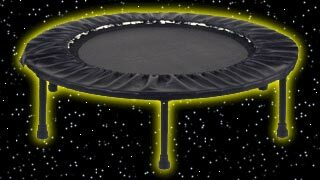 I avoid mini trampolines that I must jump out of the mat to gain enough levitational energy. The gentle shifting of the body fluids found by using a rebounder that has enough levitational force will not be a multi-purpose rebounder or one designed to lift one above the mat. My research has proven to me that avoiding being airborne is the real key for detoxification & strengthening my body core muscles, introducing additional oxygen uptake, lowering the heart pulse rate and relieving a stress bound body. Levitation opens up the lymph valves held in place by Gravity. This opening is a subtle energy and is not induced by high jumping. It's the small changes that are repetitive that create the negative pressure and suction in the lymph system. 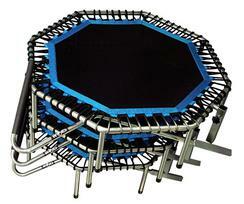 Levitation Rating 10/10 - The rebounder with the least amount of air time and highest G force gets the highest rating. The Health circulator 10/10 This rebounder has the most levitational force of all the rebounders. Health bounce ONLY! Lymphaciser 9/10 - This gets just slightly less G force and I have to jump higher to get the same g force. 2nd favorite for the Health Bounce. Cellerciser 10/10 - This gives the most bounces per minute of the multi-purpose rebounders. You don't have to leave the mat but you get about 25% less bounces per minute than the Health Circulator. This allows high bouncing for toning and weightless/cardio. Urban Rebounder 2/10 - I promote this as a cardio rebounder for jogging. Not intended for the Health bounce at all. Levitation is not just jumping up ...the main factor is to sustain a continuous upward movement ...the cell structure is a flow pattern that circulates the lymph fluid ...it is a gentle movement that operates only without shock and a constant. FREE SHIPPING on any rebounder we carry (lower 48 states only) - not valid with any other offer. 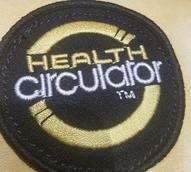 Special offer: Buy a new Health Circulator for $599, get a new Cellerciser bifold for for free.